While an air duct is essential for a house to stay well ventilated, it can devolve to be a major source of concern as well. We know that it is frightening but we offer the perfect air duct cleaning services to keep the worries at bay. Air ducts carry air into the rooms and if this is ridden with disease and allergy causing organisms and particles, health condition of family members can be affected. Cleaning of air duct on a regular basis will ensure that indoor air quality is good. This, in turn, leaves a positive effect on air cooling or heating systems installed at homes. With clear air passage, load on the appliances decrease as well and thus the one can save on lower energy bills. We at Sunbird Cleaning Services Charlotte begin our air duct cleaning process with a thorough inspection of the air duct system in your house. A free estimate is given after the review. Once approved, we begin the task of vacuuming entire air duct system using powerful vacuum cleaners and tools specific for the purpose. Registers, grilles, A coil and blower are all covered under our cleaning process. We know that the entire system has to be cleaned and hence the work is done part by parts. Each part is zoned off while work is carried on. Sunbird Cleaning Services containment system acts as the reservoir for all dirt and dust accumulated in the ducts. Our experienced staff would re-install the air duct system after cleaning, they clean up any remaining work area debris as well. We adhere to the guidelines as outlined in National Air Duct Cleaners Association. 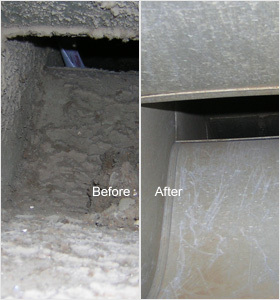 We are experienced professionals who are experts in cleaning air ducts. 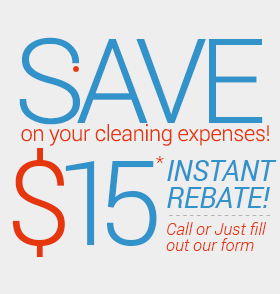 Our trained staff would attend your call and clean air ducts at homes and offices. We also perform additional cleaning services of air filter replacements, cloth dryer vent cleaning etc for additional charges. An air duct system, which is regularly cleaned would work more efficiently and result in lower utility bills and a cleaner home. Clean air ducts have a positive impact on family's health. Indoor air pollution is mostly caused by dirt that enters into homes through air ducts. Every time heating and cooling systems are turned on, air borne contaminants get pulled into the ducts. These contaminants accumulate over time and gives rise to an atmosphere ideal for breeding of fungi, bacteria, mold and other microbes. Sunbird Cleaning Services Charlotte offer to get rid of these germs for you through our air duct cleaning services. We are punctual, reputed and completely reliable. We are the right choice for your ensuring cleanliness at your office and home. Call Sunbird Cleaning Services at 704-209-9333 and experience the difference.